If you’re familiar with the latest generation of hydraulic equipment, you know how sensitive it can be. New, ultra-precise parts have a very low tolerance for contamination. Even a little piece of dirt can jam your valves, score your cylinders, or cause other problems over time. The best way to prevent contamination-related parts failures is to invest in regular fluid and filter replacement. When you do so, be sure to use the best products available to you, like Parker hydraulic filters Ontario CA. The best products are affordable as well as high-performing. Parker hydraulic filters Ontario CA certainly meet these requirements. Their low-pressure filters are especially well-known for being affordable but still delivering maximum protection from contamination. 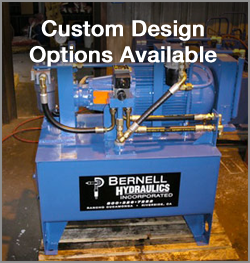 No matter what pressures or temperatures your mobile or industrial equipment operates at, you can visit Bernell Hydraulics to find a Parker filter that will do the job. Your hydraulic filters strive to keep your hydraulic fluids clean, but even a fresh filter can’t fully remove high levels of contamination. If you believe your system is really contaminated, come to Bernell Hydraulics for a fluid analysis before installing new Parker hydraulic filters Ontario CA. If we find high levels of contamination, we can power flush your system to remove the contaminants. If your fluid is just lightly contaminated, we can do a drain and change to get new fluid in your system. While you’re changing your fluid, you might want to consider upgrading to a premium product like DuraClean hydraulic oil. This oil features exclusive additives that can maximize both anti-wear protection and oil life.